In 1996, people inspired by Amma's teachings about serving the poor asked her if they should find a place with a real need and try to help. When Amma said yes, they found a small soup kitchen in west Oakland serving free meals every weekday while operating on a shoestring budget. Mother’s Kitchen began serving hot meals there twice a month, soon adding bagged lunches too. The idea spread and soon Mother’s Kitchens began popping up all over the map. Currently, there are more than 50 in the U.S., Canada and Costa Rica. Most help existing facilities, by purchasing food and supplies from donations made to Mother's Kitchen, and by supplying volunteers to prepare, cook and serve the meals. Mother’s Kitchen groups in North America prepare, cook and serve 150,000 meals for the homeless and hungry each year. Some groups also collect and distribute clothing, household items or food staples for communities in need. In the Bay Area, the Amma’s Pantry initiative, launched in 2013, has collected 11,347 lbs of food - the equivalent of 9,078 meals – for distribution to local food kitchens, food pantries, and directly into local communities. Some groups also collect clothing, household items or food staples for communities in need. In Ohio, we outfitted a women’s shelter, painting and furnishing apartments, providing clothing, toys and school supplies, as well as meals. In San Diego, we provided food to migrant workers during winter months when work was scarce. In Portland Oregon and Victoria Canada, we participate in a city-wide project to reduce wasted food and recycle essentials that are still usable. Los Angeles, we serve at the Downtown Women’s Center, supporting food and clothing drives and health workshops. In Rockville Maryland, we prepare and serve thirty meals at a women’s shelter once a month. In Costa Rica , Mother’s Kitchen started out as an annual fiesta celebration with free food and has now evolved into an ongoing project throughout the year. Anyone wishing to volunteer time is more than welcome. If you're interested in starting a new Mother's Kitchen, please contact Kasturi. 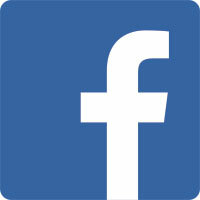 We are on facebook now - Add your Mother's Kitchen event information or see pictures at Mother's Kitchen.